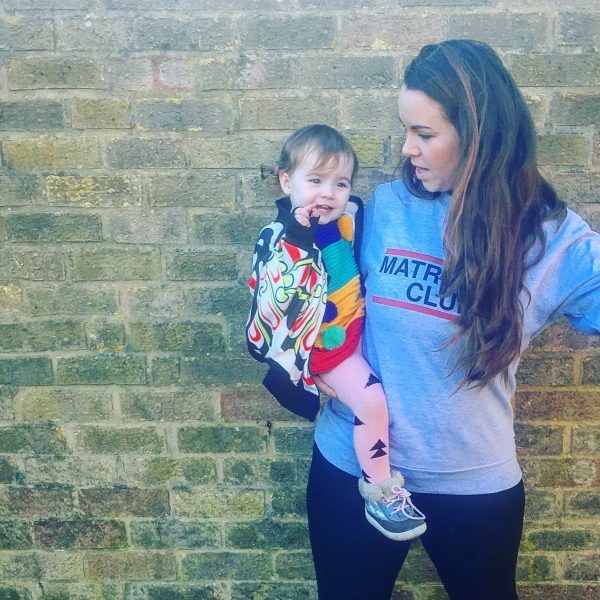 Dieting in Motherhood :: Why am I struggling? Did you know that when I was younger, I was a size 20 at only 5’5? I was obese, unhappy and uncomfortable. I remember going to asda to buy some cheap jeans after I’d just had Reuben because none of my clothes fitted me (no surprise) and I wanted something a bit comfier that I could throw away after a while… size 16 was normally the right fit so I went for an 18… nothing… 20 was snug at best. I was 21 years old and, quite honestly, it was a big wake up call for me. So, I started to lose weight, not through crash dieting but through hard work, cutting out carbs (which seem to pack on the pounds for me) and replacing them with healthy veggies. It worked, I shrunk like an apricot in a dehydrator – though slightly less wrinkled. I was a size 12 18 months later and when I had Toby I was back in those jeans within 2 weeks because my eating habits became about clean eating. I felt healthy, happy and I was FIT. Not in the way that my husband uses the term, though I certainly felt more so then than I do now, but I mean I was physically fit. I could run like a loony, play with the kids and go crazy. Fast forward to post Toby and I got even thinner, I had a nasty bout of noro virus when Toby was 6-8 weeks old and I was so poorly I lost 8 lbs in 4 days. I was happily in size 10 clothing, no mean feat for me considering I have an arse to rival Kim Kardashian’s and I haven’t been a size 10 since I was 9 years old. I craved fast food, something I have previously curled my snout at, I wanted allllll the McDonald’s and I would treat myself sporadically. I never became obese again, but I got bigger… and I’ve never really lost it all. At my slimmest I was a confident and comfortable 10 stone 6 lbs, which might sound large to some but it suited me, I felt happy. I’m now weighing in at an uncomfortable 12st and I can’t seem to give myself that passion for not snacking, clean eating and putting down the carbs. I can honestly say the only thing that is kind to me in my wardrobe are my leggings, whereas my jeans sit and snigger in the background, casually tolerating my attempts to fit both bum cheeks in them. Yesterday I couldn’t even pull on what I have always affectionately termed my “fat jeans”. They wouldn’t even make it over the bum. So why is this? Well, for one, I don’t really sleep much any more and this is said to be a huge downer for dieters, but more so, I have become stuck in a rut – grab a nibble here and there, finish off the leftovers etc. It’s hard to inspire yourself to cook a decent meal when you know for a fact that the packet of Jaffa cakes you ate an hour ago will hinder any progress on the scales and then the old “sod it!” attitude appears and before you know it you’ve eaten a Big Mac, a packet of Pringles (once you pop and all that jazz) and necked a bottle of wine. I’ve also found that working from home doesn’t help – I’m sat at my desk and will put off eating anything until I’m hungry enough to snack like a demon. It’s a vicious cycle for me and I really feel that I need to reassess my eating habits because I feel, not only sad and genuinely down about my increasing body weight, but I feel I’m struggling to really push with the energy I need for the kids. I don’t feel like I used to and I want that back. In order to try and force myself into this healthy eating I’m taking myself back to that high protein and veg food, with low carbs and few snacks. 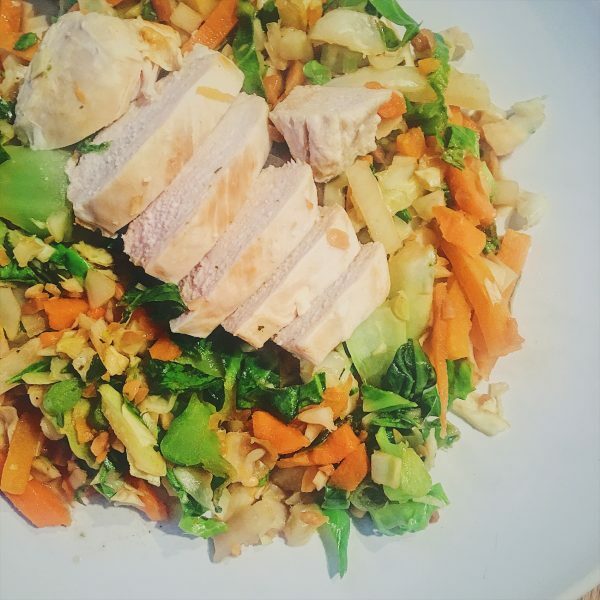 This week I’ve started on FitKitchen meals at lunch time so I genuinely don’t have the excuse of “I can’t be away from my desk for long” or “I just fancied”… because I have these delicious meals that are essentially healthy ready meals. I am passionate about Asian food, it’s high in flavour and low in calories and carbs – if I fancy some noodles I can courgetti the hell out of my meal and I won’t miss it… so when I was sent these FitKitchen meals, I decided I wanted to give them a go and (unlike pretty much every other ready meal that promises high flavour, low cal) I haven’t been disappointed. You can choose between Kung Pao, Pad Thai, Middle Eastern and Malaysian and having tried all four I can confidently say the only one I wouldn’t rush out to buy in a heart beat was the Middle Eastern, and even that had a punchy fruity flavour that was pleasant just not my usual “thing”. I am hoping that by eating one of these meals a day, followed by a stir fry in the evening will actually help me to lose weight but also inject a much needed energy boost and health kick. Another tip I’ve discovered, I pre chop all the veggies that I would like to have in a stir fry and then I freeze it until I am ready to cook it! Take it out, throw it in the pan and BOOM! Do you find it harder to diet as a mum? Perhaps working from home makes it a snack fest? 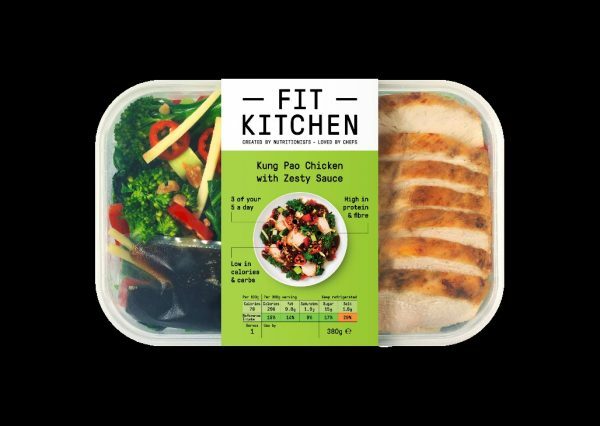 P.s – Fit Kitchen is now available in selected Sainsbury’s stores nationwide. Polar cat :: The underappreciated tale. I know my wife finds it difficult because she’s a very “in the mood” sort of eater. I’m less so but I find it difficult to break out of my habits. We’ve tried meal planning and various different diets including several of the fad ones. I found that strict calorie/macro counting really worked for me…until Henry came along and now it’s difficult to have the time or the energy. I can only imagine it’s going to get worse when baby 2 comes along in a few months. I find it really difficult too since my second has arrived 19 months ago. I didn’t really put any weight on with my pregnancy, it was more after the birth and the munchies that come with breastfeeding kicked in! I ate so many biscuits… Anyway, this last couple of weeks I’ve set off a challenge at work. We have a four week calendar pinned on the noticeboard and each person has put £2 into the kitty each. Whoever sticks to their personal challenge the best, takes home the kitty at the end of the four week period. I’ve cut out chocolate and have lost 1lb so far so I’m happy with that! Good luck all mums! ?? I’ve found it difficult to eat healthily and lose weight in general never mind as a Mummy. But then last year came the time to be a bridesmaid in Rhodes and we had said that we would try for baby number 2 from then so for both these reasons I decided I must make more effort to be healthy for my kids, not just myself. Now number 2 is 2 months old and I’m struggling to get the motivation again. I may just give these meals a go to stop myself grabbing crappy food at lunch. Ps… best quote I’ve read in ages – “shrunk like an apricot in a dehydrator”! Love it!! Good luck Kate – me and you both as I’m now back in 14… which doesn’t suit my frame or mind set! Since giving birth to my 6 month old daughter I’ve struggled big time with loosing my weight. Yes, it’s only been 6 months but that doesn’t help the fact I’m grumpy, uncomfortable and unhappy with myself. In proud of what my body had produced especially considering in my twenties I never thought I could have children! I had to work hard to loose weight to be accepted on the IVF programme and I gave up smoking (best thing I’ve ever done!) I was so so lucky to have fallen pregnant naturally not just once but 3 times. But now I’m struggling again. Exercise is the only thing that does it for me. I love that feeling of achieving a good hot and sweaty workout to Davina. But I’m not getting the encouragement I need and I struggle to find time (not using it as an excuse, but I hope you understand) so any advise to find an hour with 3 children and a house to run would be appreciated.? Stumbled upon you blog today and gosh! I am enjoying your posts! Oh I can relate to this. I never struggled with my weight until having my third, but now I find it so hard. It’s totally my fault, I eat too much and too much of what I eat is crap. I can’t work out if it’s tiredness or what, but I just don’t seem to have the same restraint I had when I was younger x x ps. Loving one of your responses above ? Ahh thanks Kerry – it’s so hard isn’t it?! Dieting is something I’ve struggled with for the last few years so I feel your pain. 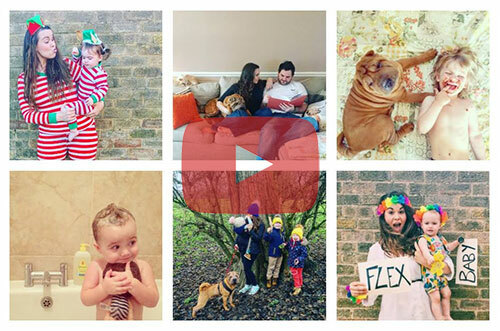 It’s a combo – I am a mum and I often work from home. Boredom makes me eat more. It took me a long time to feel arsed enough to lose the weight after my son. I find now that I am slimmer because I am more anxious! It’s great that you’re motivating yourself – but I would also say don’t give up on all carbs – courgetti is great but there is nothing wrong with small portions of regular egg or rice noodles – just ensure the majority of your plate is stuffed with veg/protein! Also – sod the scales, they aren’t your friend – you know from your jeans when you’re bigger/smaller. Also, throw out clothes that are too baggy on you – I kept jeans for ages that sagged on my bum making me feel fat even though I had lost weight – also you don’t notice as you start to fill out bigger clothes again! Good luck, those meals look great I will give them a go! Thank you lovely – great tips. I do love rice noodles so treat myself on occasion to a good portion or two! It’s so tough to get into it! I’m confused, is this a sponsored post or collab or something? Ooh Ellie, I think this is the weirdest comment I’ve ever had on the blog… I was sent the products if that what you mean? I’ve written about the products on Instagram which has the tag #ad because that was paid for, but I genuinely just like them and featured them on the blog. Not entirely sure what confuses you? Or did you just want to try and make me look bad and like I wasn’t being transparent 😉 ? I’m half sold on the dieting – yes, cut down on the carbs, but if you’re not a vegan, retain some proteins – you need energy to take care about your boys. Never neglect exercising! I have never found cutting down on food easy! If my head is in it I can eat really well but as with you its my die hard habits I need to change. I want to be one of those people who sits in front of the TV with a satsuma and a herbal tea, not 7 choc digestives and a milky coffee! Those meals look fab but I bet they cost a bomb..